Jakarta revelers will have several alternatives for places to celebrate New Year’s Eve as the city administration has prepared six locations as centers for celebrations to ring in 2018. The six locations are the National Monument (Monas) compound in Central Jakarta, Jl. Danau Sunter Selatan in North Jakarta, the West Jakarta Mayor’s office, Setu Babakan in South Jakarta, Taman Mini Indonesia Indah (TMII) cultural park in East Jakarta and Pramuka Island in the Thousand Islands regency. The six locations will be equipped with stages for musical and dance performances, which are going to start at around 7 p.m. on Dec. 31. A main stage at the Monas compound, for instance, will be enlivened by a performance by the so-called king of dangdut Rhoma Irama. 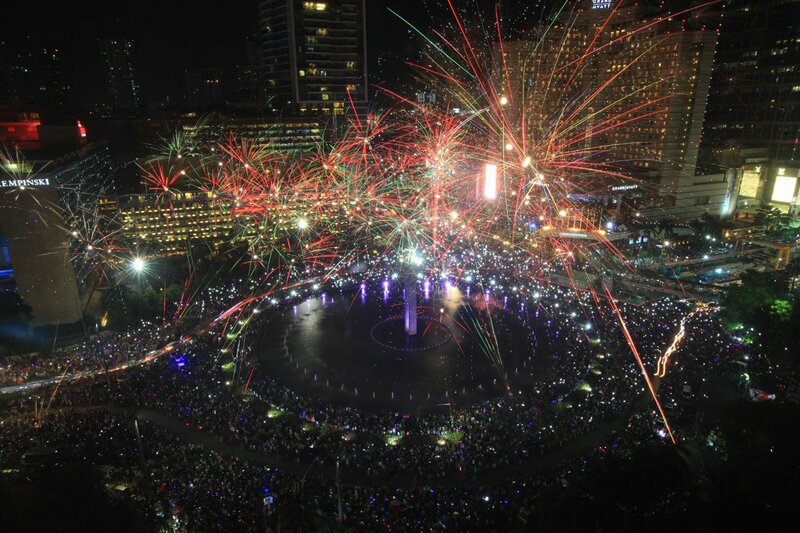 Unlike previous New Years’ Eve celebrations, the upcoming celebrations will witness a mass wedding of 534 couples, which is the idea of Jakarta Governor Anies Baswedan to facilitate the wedding of lower- and middle-income residents.